The equivalent series resistance of a capacitor (ESR) is not always specified by the manufacturer. 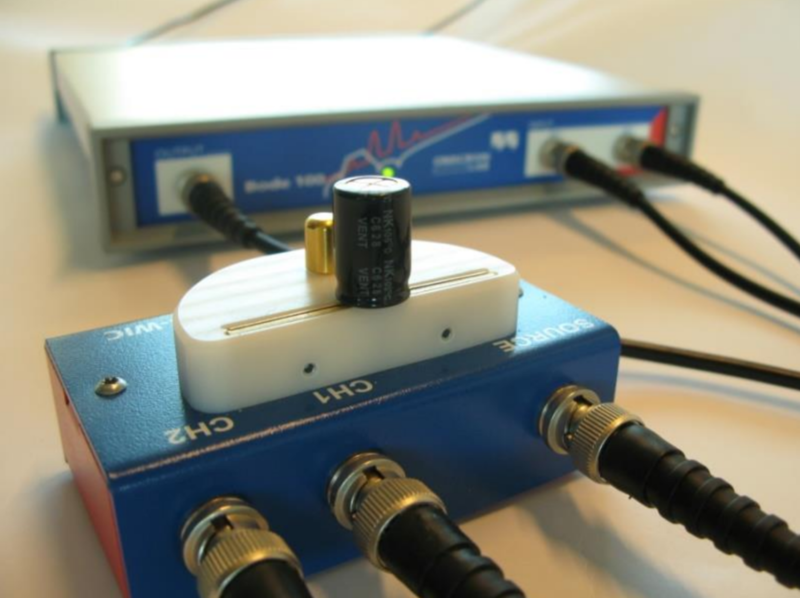 The Bode 100 with its impedance adapters offers an easy and fast way of measuring the ESR. This application note explains how to measure the characteristics of a capacitor with the impedance adapter B-WIC and the Bode 100. The ESR of a capacitor can influence the behavior of an electronic system and therefore has to be known in several cases. Manufacturers do often not provide sufficient data about the ESR. Sometimes the dissipation factor is defined at a single frequency. Assuming a series equivalent circuit model for a capacitor including the capacitance and the series resistance, the Bode 100 can directly measure both values over the full frequency range. In this video, Florian explains how to measure the ESR of a capacitor over frequency.